November 30, 2016 November 19, 2016 by Beau H.
Can you believe the holiday season is upon us? Here at The Style Guide, we absolutely love the holidays — and by we, I mean me. From holiday travel to composing my Holiday Style Wish List, it’s an absolute treat of a time. In addition to looking forward to time spent with loved ones, you should also keep a weather eye out for ways to improve and upgrade your style — especially at this crucial time of year. Yes, it’s a time when you’re dealing with (likely) inclement weather, a bit (or a lot) of travel, gift-giving and plenty more — not to mention a work holiday party that often pops up when you might least expect it (or least look forward to it?). It’s also a time to make sure your style doesn’t stray into overly, err, holiday-esque territory — so, a reindeer sweater is overdoing it just a bit. To get you ready for that inevitable invite in fine fashion, we’ve pulled together one heck of a style suggestion — it’s a bit dressier than your everyday rugged favorites on this here blog, but you’ll be all the better for it. And as you’ll see below, it takes tried-and-true layers — like the classic V-neck sweater — and upgrades them with winter-ready shirting and accessories. Can’t wait to see it? Good. Me neither! Follow along on Instagram and Twitter for more daily style inspiration, and chime in on this suggestion via The Style Guide’s Facebook page. Smart, stylish, affordable and easy to wear with a suited holiday look. Is it any surprise that the great team at JackThreads has absolutely knocked it out of the park with the Tieman Topcoat? It shouldn’t be — the brand’s menswear-focused revamp has been a welcome addition to the digital style scene across the past year, and this handsome, eye-catching double-breasted topcoat is Exhibit A in that regard. It’s no Canada Goose parka in terms of battling extreme conditions, but thrown on over a suit on a crisp winter’s night? You just might have the nicest jacket at the party, fella. A refined suit made with premium materials for under $500? You betcha. Would you believe that Taylor Stitch makes a heck of a beautiful fall and winter suit in addition to their classic chambray shirts and rugged slim chinos? It’s true, and that’s what makes the Telegraph Suit such a worthy pick-up. The brand took plenty of customer feedback and incorporated it into a suit that manages to merge the modern — a slim fit — with the classic — patch pockets and textured fabric. It’s a classic suit that’ll serve you nicely throughout the rest of the winter season — and it’s the right choice here because of its terrific fit and styling potential. It’s neither too stuffy nor too sloppy, and the Telegraph Suit is certainly a steal for under $500 via Huckberry. A slightly unexpected color that plays nicely off the blue shirt and grey wool suit. There’s no question that J. Crew knows how to do luxurious basics well. Is $225 a lot for a sweater, as we always ask ourselves? Yes, it certainly is — but finding an Italian cashmere sweater for less than that is a bit of a difficult endeavor. The rich Heather Laurel color seen here is a great complement to the grey wool suit and darker blue shirt. Plus, it adds a bit of contrast to the tan plaid tie. Green and blue is a bit of a unique color combination, but it works here — and the sweater will keep you nice and warm underneath your Taylor Stitch suit and topcoat. A dress shirt with some texture and a pleasing winter-ready color. What better way to complement a classic winter-weight suit than with a sharp blue dress shirt in a textured fabric? J. Crew always seems to do an impressive job with its third-party collaborations, and the Cordings for J. Crew partnership is the latest addition to that roster. Cordings brings its own classic British sensibility to sharp tailoring, and that makes this shirt both traditional and modern. It’s the perfect complement to a deep green sweater — the combination is unique, but works with the darker tones of winter. A plaid tie and a floral pocket square? Give it a try. In keeping with the crisp cold-weather vibes of the season, we’re reaching for two pieces here that nod to the holidays without going full-on Santa Claus. The Tan Plaid Brussels Tie is affordably priced in a nice plaid wool that contrasts with the grey wool suit and blue shirt — it’s a bit of an unexpected color pairing. And the patterned blue pocket square plays nicely off the lighter blue shirt. You’re looking at two patterns that at first might not work together, yet up against a grey wool suit, the combination is a fresh, affordable one. Right? Just as ready to wear with a winter suit as they are with tough dark denim and a Henley. Remember seeing the rugged, refined and tough-as-nails CAT Footwear Sutter Boot in this site’s post on the best men’s boots for fall? Of course you do. Although at first this 6-eye, burnished boot might seem too rugged to wear a suit, fear not. The rougher texture of the suit, shirt and tie lend themselves well to a durable, handsome boot. Plus, the higher cut of these boots gives you added traction and grip should the weather turn inclement. If you find yourself in a warmer climate? Ditch the boots for a pair of crisp leather wingtips and perhaps swap out the wool suit for some slim stone chinos and a lightweight navy blazer. Ya dig? American Trench consistently delivers on premium, American-made socks — that goes for both the brand’s casual varieties and dressier iterations. Take these comfortable Pima Cotton Houndstooth Socks — the navy pattern plays nicely off the blue shirt and grey wool suit, not to mention the patterned pocket square. They’re an investment for a pair of socks, but they’re one that’s worth it — you can wear sharp, subtly stylish socks like this with all sorts of winter work week outfits. A classic, affordable dress belt and a go-anywhere watch. Make no mistake, your Style Guide author is as much of a fan of classic dress watches from the likes of Daniel Wellington as you are. But given that we’re going with a more rugged outfit — from the textured shirt and tie to the grey wool suit and boots — a sport-inspired, tough chronograph fits right in. The great thing about the Armogan Spirit of St. Louis Chronograph is the rich contrast between the black dial and brown leather strap — it’s a pairing that works surprisingly well together. Of course, you can never go wrong with an affordably priced J. Crew Factory leather belt fit for both business casual and slightly dressier looks. So, that’s your Holiday Style Suggestion all sorted out. A slim V-neck sweater adds a bit of visual interest to a rich grey Telegraph Suit from Taylor Stitch, and both the shirt and tie bring seasonally appropriate texture. The thing to keep in mind is that even at an investment-level price, the Telegraph Suit is more than just a one-trick pony. That is, you can break up the jacket and pair it with Mott & Bow denim and a classic white Oxford (plus, those durable Sutter Boots from CAT Footwear) during the regular work week, too. And the handsome, refined Armogan Spirit of St. Louis Chronograph is an absolute keeper in terms of both durability, style and versatile looks. Oh, and those Pima Cotton Houndstooth Socks? Once you’ve tried socks from American Trench, you might never go back. As always, you can’t go wrong with a refined, versatile JackThreads topcoat, either. Let me know in the comments how you’re dressing for your holiday party — and as always, stay stylish! November 26, 2016 November 17, 2016 by Beau H.
Potentially a new fall style favorite? That’s your call. Live from Brooklyn, it’s yet another edition of the Style Pick of the Week series here at The Style Guide. So far this fall season, we’ve covered off on a lot of essential fall pieces, from a durable waxed trucker jacket to a stylish crewneck sweater. While pieces like the aforementioned are fantastic a lot of the time, some situations call for something a bit comfortable but just as functional. From fall travel to a weekend coffee run, you’re going to want ease of movement, a slim fit and the type of look that’s put-together but not overly dressy. Enter the fantastic Public Rec Crosstown Bomber. Available via the Public Rec Web site or through Huckberry , the Crosstown Bomber is the casual fall jacket you didn’t know you needed. Released earlier this fall, it joins the Public Rec arsenal of essential, well-built and comfortable basics that are sure to become everyday staples. From the brand’s tailored-yet-laidback All Day Every Day Pant to the Go-To Tee — tested out by yours truly on a summer trip to Las Vegas — there’s no question that the Crosstown Bomber fills a tough-to-find niche of well-made basics that aren’t … too basic. Especially when it comes to filling out your Fall Style Wish List, those are the type of items you should search for — and then buy. It’s easy to get the type of easily wearable style you need, too. Crucially, the Crosstown Bomber is available in reliably versatile shades of Black and Heather Charcoal. However, your author is partial to the pleasing shade of Heather Navy. Why’s that? Well, that particular shade of blue will go with absolutely everything — including black denim and grey denim. There’s plenty of upside to the Heather Navy version of this jacket — the blend of nylon and spandex is ridiculously comfortable and breathable, for one. And the sleek yet subtle silhouette of the Crosstown Bomber is another positive. With a zipper chest pocket featuring room for your phone and headphones to slide right in, it’s the ideal mix of stylish and functional. It could even become a new seasonal staple — layer it over a rugged henley with your favorite pair of faded denim on the weekends, and throw in some retro-inspired high-top sneakers while you’re at it. Then, take that same jacket on through to the work week with a slim white Oxford, polished-yet-casual garment-dyed chinos and worn-in leather chukka boots. Oh, and off-the-wall style suggestion? Layer the Crosstown Bomber over a refined turtleneck for a bit of sleek, alpine-inspired style. With a jacket this comfortable and easy to wear, it’s a safe bet refined turtleneck that you’ll want to wear it as much as you can, in any and every way possible. Get the Crosstown Bomber now via Huckberry or Public Rec Apparel. November 25, 2016 December 8, 2016 by Beau H.
Ahh, so it’s here again — Black Friday. If you still haven’t recovered from a healthy dose of turkey and football, we’re here to help you at The Style Guide. 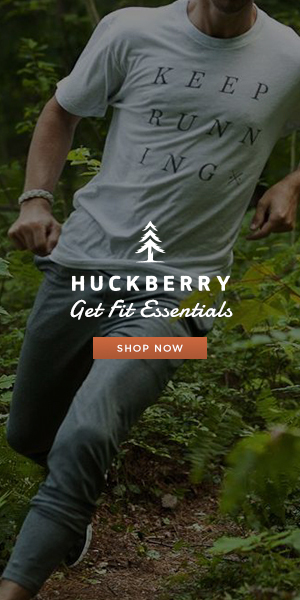 It’s a bountiful time for shopping — namely, right here from your laptop. And as great as the weekend is, it’s also important to take some time to kick back, enjoy the holiday with loved ones. But make no mistake, there are deals to be had wherever you look. With plenty of retailers opening their doors and starting online sales well in advance of Black Friday, some of the below deals have been going on for a while. But fear not, you’ve got plenty of time to catch up on all of your #menswear shopping needs. 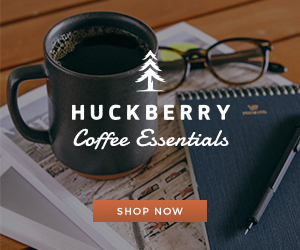 Yes, make no mistake, there are some excellent sales out there — with a slew of promotions from Huckberry, Shinola, JackThreads and plenty more favorites, it’s the ideal time to knock a few items off your style wish list. Without further ado — bring on the Black Friday deals! Astorflex Chukka Boots — These stylish, eco-friendly boots are available for 25 percent off; to read more about what makes AstorFlex boots the real deal, check out this Style Guide feature. Sword & Plough: The men’s and women’s accessories company — as featured in this stylish fall travel ensemble — is running a Thanksgiving week sale giving you 20 percent off all the way through Tuesday! They support veterans every step of the production process, so the brand is certainly worth a look. Mott & Bow: Everyone’s favorite denim brand has a nice Black Friday deal going on today. Use the code ‘BLACKFRIDAY’ to get 10 percent off orders of $150 or more, 20 percent off $250 or more, or 30 percent off $350 or more of Mott & Bow gear. Johnston & Murphy: The heritage footwear maker is offering select shoes and boots for up to 30 percent off. JackThreads: Another Style Guide favorite has been running a Price Drop & Lock Guarantee for the past few weeks, meaning low prices. well, drop and stay there; oh, and they’re giving everyone 25-30 percent off site-wide for Black Friday! And on Cyber Monday, they’re offering 30 percent off site-wide, all day. CHASE54: The performance and style-focused golf brand is serving up a nice deal through Cyber Monday —take 30 percent off any two-piece bundle and 40 percent off any three-piece bundle. Batch Men’s: Batch is serving up a rare sale deal — makers of rugged-refined staples like the Tactician Utility Shirt, they’re offering 40 percent off a wide selection of shirts; get the deal using the code ‘THANKS’! johnnie-O: The preppy, sport-inspired clothiers are offering a nice Black Friday deal — use the code ‘Tweener’ to buy one button-down, get another button-down free. GREATS: In addition to launching two new sneakers (the third iteration of its Beast Mode collab with retired NFL star Marshawn Lynch, plus a special “Black Friday” edition of its low-cut Royale sneaker), the Style Guide favorite and is giving y’all 20 percent off and free shipping sitewide for Black Friday. That goes along with a series of tiered deals on Cyber Monday: namely, you’re looking at 20 percent off and free shipping sitewide from 12 a.m. to 12 p.m., then 25 percent off and free shipping from 12 p.m. to 6 p.m., capped off by 25 percent off and free shipping on all shoes under $100 from 6 p.m. to midnight on Saturday. Hop to it! Old Navy: The noted casual retailer — who seems to churn out better and better men’s apparel by the season — is offering 50 percent off through Black Friday. That’s a heck of a deal, y’all. Shinola: The brand is launching its Special Edition All Black Collection, an assortment of signature all-black Shinola products, debuting today. It includes the brand-new Shinola Runwell Wall Clock and Shinola Power Supply Cords made in partnership with General Electric, plus an all-black Shinola Runwell Turntable, a 47mm Runwell watch with a PVD black sandblasted case and black dial, a one-of-a-kind black tandem bicycle and the Shinola + Benchmade Titanium 765 Pocket Knife. That’s a heck of a lot of gear! Read more about Shinola on Effortless Gent. Sunday Somewhere: The eclectic sunglasses brand with an international following is giving you stylish guys up to 50% off storewide through Monday, excluding regular eyeglasses & accessories. No discount code needed! Links of London: Need a special gift for that special someone? Refined British jewelry makers Links of London are offering 25 percent off for Black Friday, both in stores and online, until the 27th, with that same deal running online only through Cyber Monday. And if you spend $495, you’ll receive the brand’s Limited Edition Timeless Diamond Bracelet, a promo that runs in-store from the 28th, and online from the 29th, until December 11th. 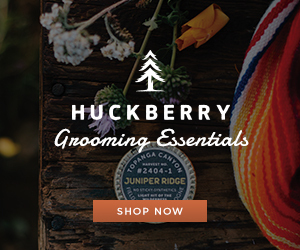 Baxter of California: These fine purveyors of high-quality men’s grooming products are offering 25 percent off the entire site now through November 28th. Dr. Scholl’s Shoes: Until the 27th, you can get 20 percent off sitewide, plus free shipping, with the promo code DRS20FS. Then, on Cyber Monday, you can take 25 percent off sitewide, with free shipping also included, using the code DRSCYBER. Reef: The surfwear and basics brand is serving up free 2-Day Shipping on all orders until the 28th using the code REE2DAY. Richer Poorer: The standout basics brand is offering 40 percent off sitewide for Black Friday. Steven Alan Optical: Until November 29th (that’s next Tuesday), you can receive 25 percent off all Steven Alan Optical eyeglasses and sunglasses with code BFWKNDSALE16. Well, folks — that’s just a selection of some of the best #menswear deals out there on the market. 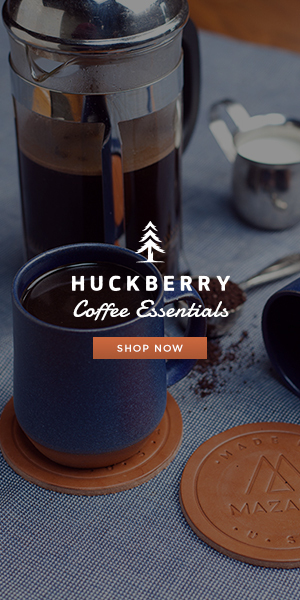 From places where you can knock out all your shopping at once — like Huckberry — to e-tailers like JackThreads and Shinola who serve up stylish outerwear and accessories, this weekend is one of the best of the year (if not the best). And if you’re a fan of shopping and scoring deals? You’d do well to hop to some shopping. Wishing everyone a happy Thanksgiving weekend — and we’ll be back tomorrow as scheduled with our Style Pick of the Week.